Pine pollen is a survival super food. Take advantage of it while it is in season and it will help sustain you during survival situations. Even when not in survival mode, one can go into the wilderness and collect this super food and use it on a daily basis. The male Catkins on the ends of the pine branches are what hold the pollen. The pollen can be collected in plastic bags by placing the bag over the Catkins and shaking and thumping the Catkins. A large amount can be collected in a short amount of time. The pollen can be eaten as is or mixed into water or other beverages or sprinkled into foods. Another potent function of Pine Pollen is that it is an androgen. The fact that Pine Pollen is an androgen means that it has the ability to raise testosterone levels effectively, making it a naturally derived source of testosterone. This is a huge discovery, as sources of testosterone in nature are few and far between. 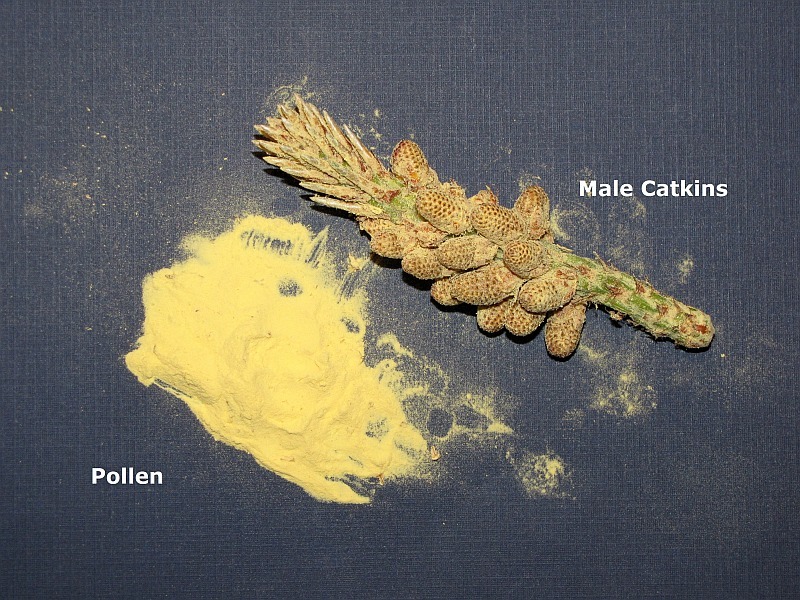 Pine Pollen raises the testosterone levels in the blood and balances the ratio of androgens to estrogen. What it is in the Pine Pollen that has this effect on the hormonal levels, are the sterols. The sterols are basically plant steroids, which benefit us, though also help the pines grow and develop. It is a complete protein source as it contains seven of of the essential amino acids. Pine pollen is about 30% protein.